This is a rare opportunity to purchase a barely pre-owned 2017 Prestige 500. The current owners are selling due to a change in personal circumstances, much to their dismay. 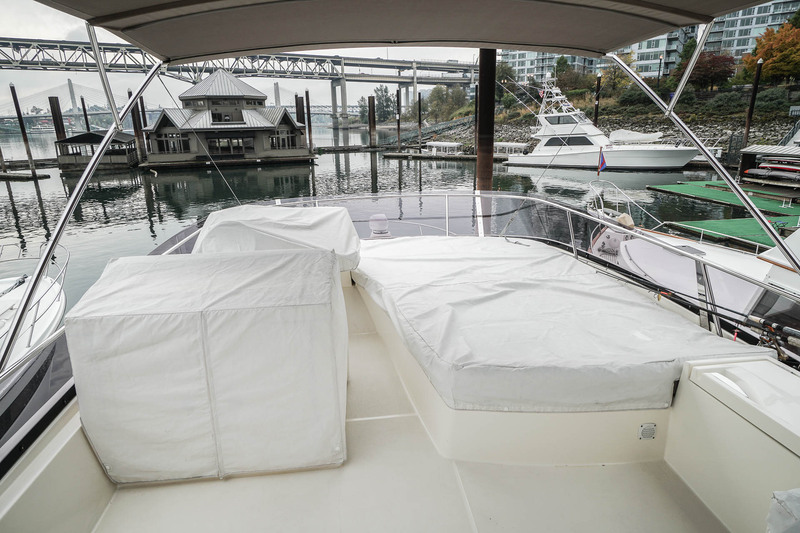 The yacht has been kept in fresh water and meticulously well maintained and is still covered under factory warranty. The engines recently had the 100 hour service performed. 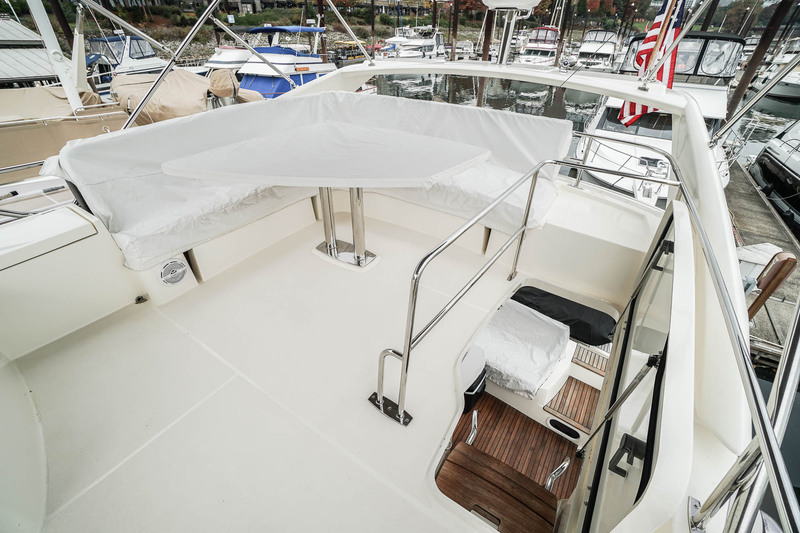 The boat came very well equipped from the factory with generator, navigation electronics, heat and air conditioning, the “premiere” trim level, and so much more. 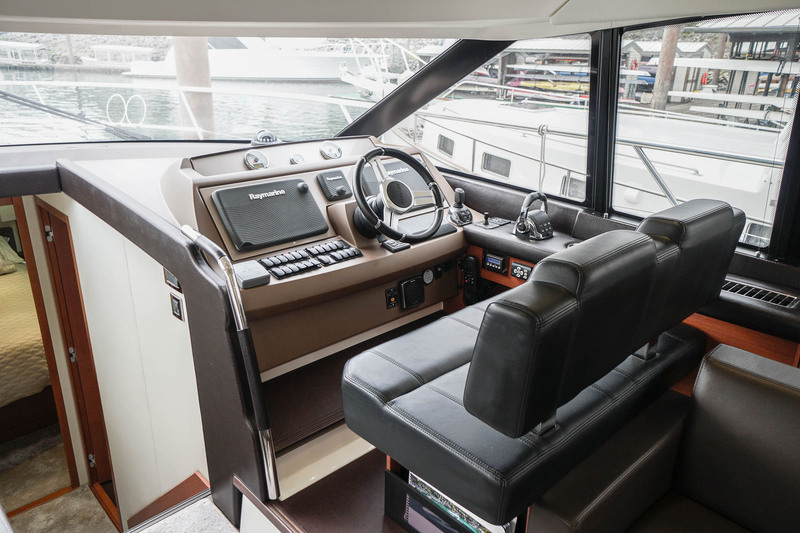 The upholstery is the rich, beautiful brown leather option from Prestige. 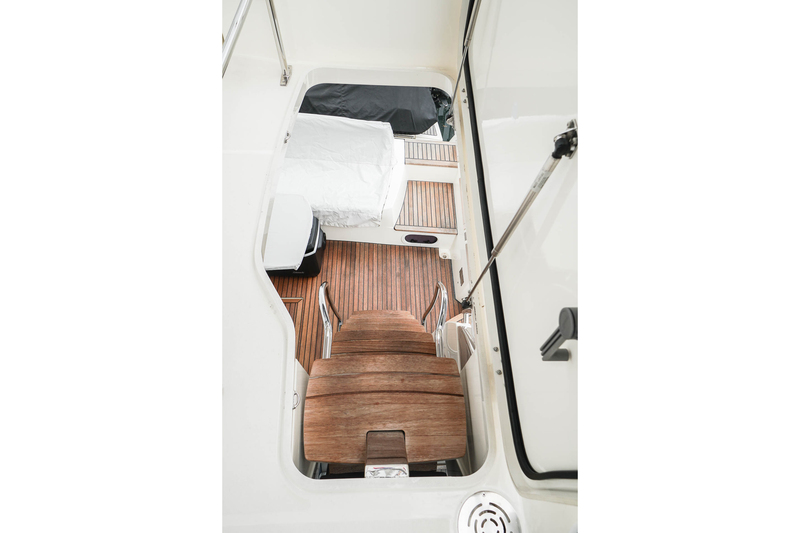 The interior woodwork is the rich Moabi wood, an excellent compliment to the brown leather. 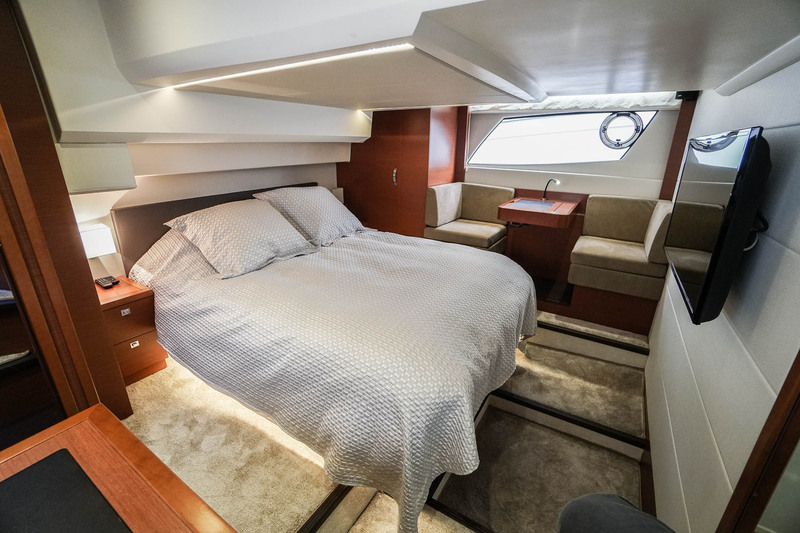 The boat features a medium toned carpet throughout (factory option) that is dark enough to not quickly show wear but light enough that the interior maintains a bright, airy feel. 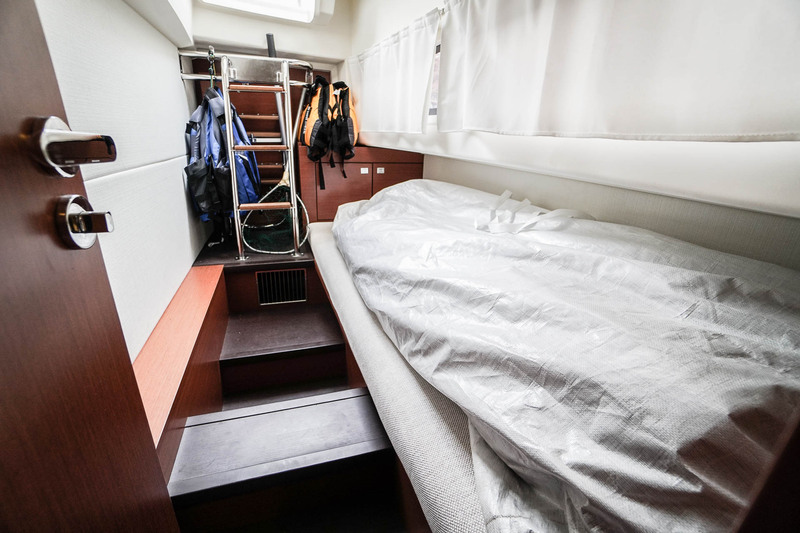 For those not familiar with the Prestige 500, this is a three stateroom boat plus crew quarters, which effectively means this is a four stateroom, three head boat for those who will operate without a crew (common in the NW). This is remarkable in 50 feet. 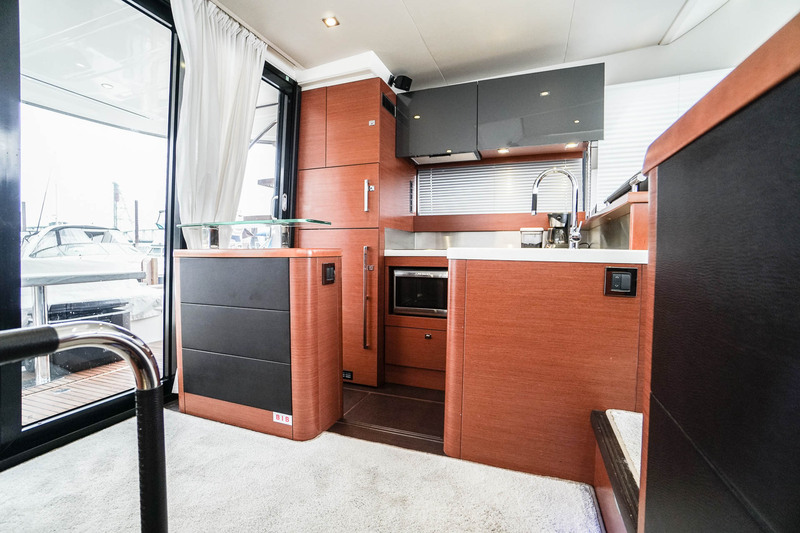 Prestige has done a masterful job of laying out the interior and layering the interior to accomplish a bright, open feel throughout that feels very spacious. From the lower helm visibility is nearly unobstructed fore and aft (only the stand up refrigerator blocks one corner of visibility, though hardly noticed). The lower helm is also somewhat unique in that it is part of the one-level central salon and galley entertainment area. The owner/operator isn’t isolated from guests while running the boat. The galley is in the aft of the salon with excellent access to the cockpit. 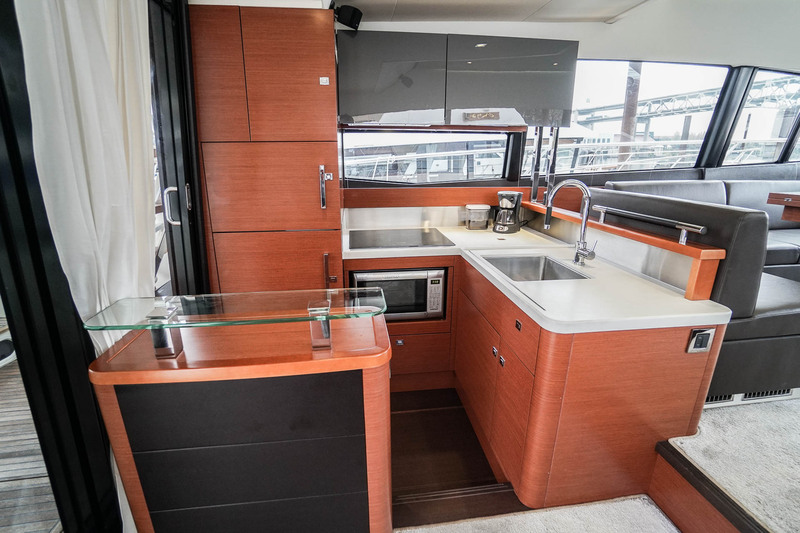 The galley features and island with storage. 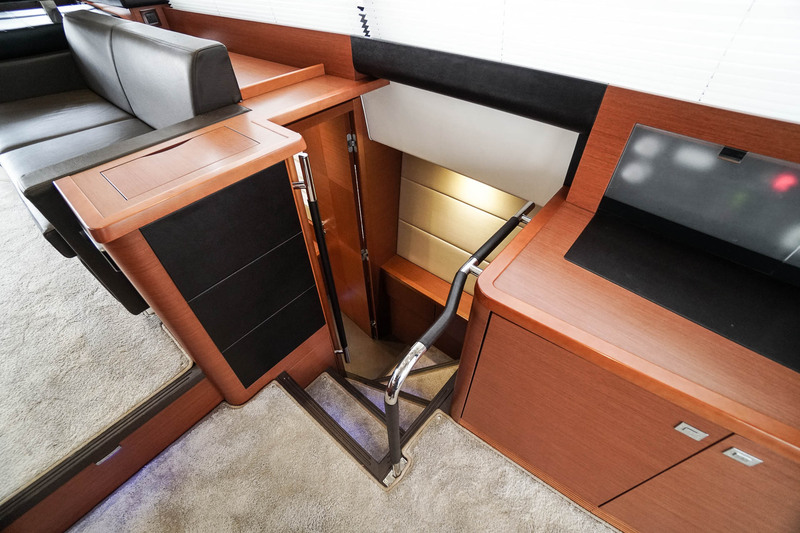 The flybridge is huge for a 50’ yacht with incredible seating and sunning areas. There’s even a built-in wine chiller and grill. 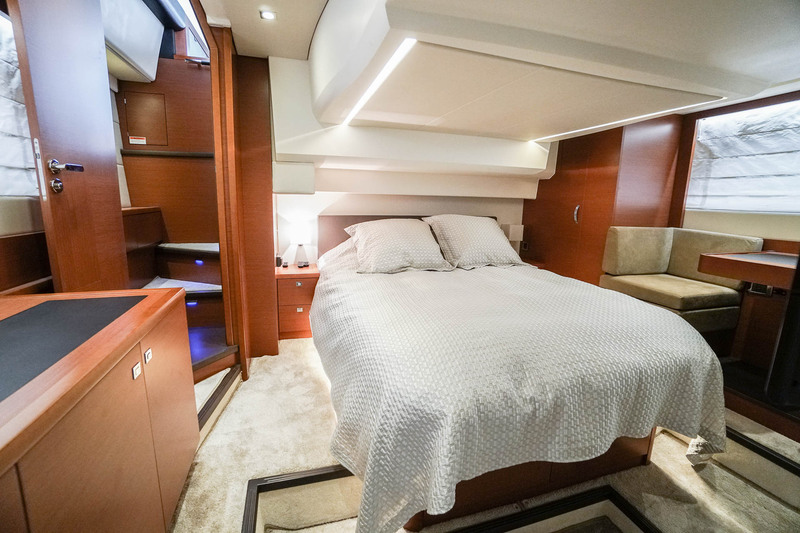 The master stateroom is entered from the aft of the salon; a private entrance away from the forward VIP and guest staterooms. 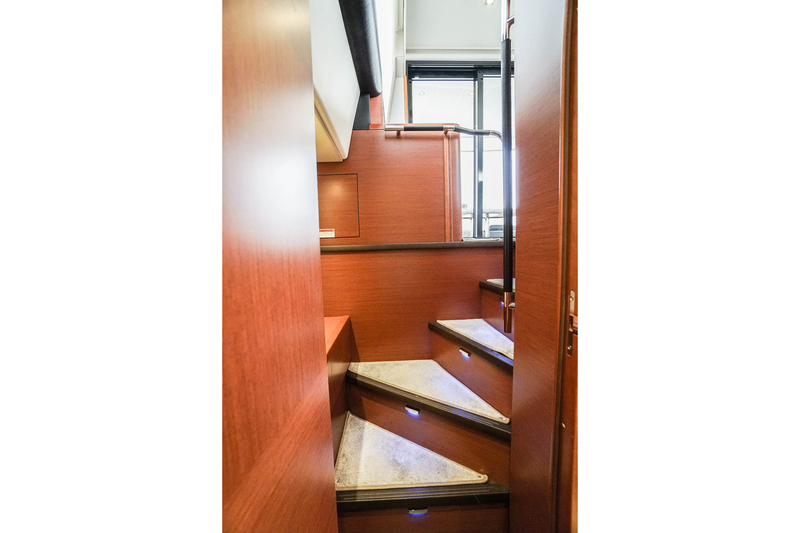 This provides privacy between the owner’s suite and their guests (or children). 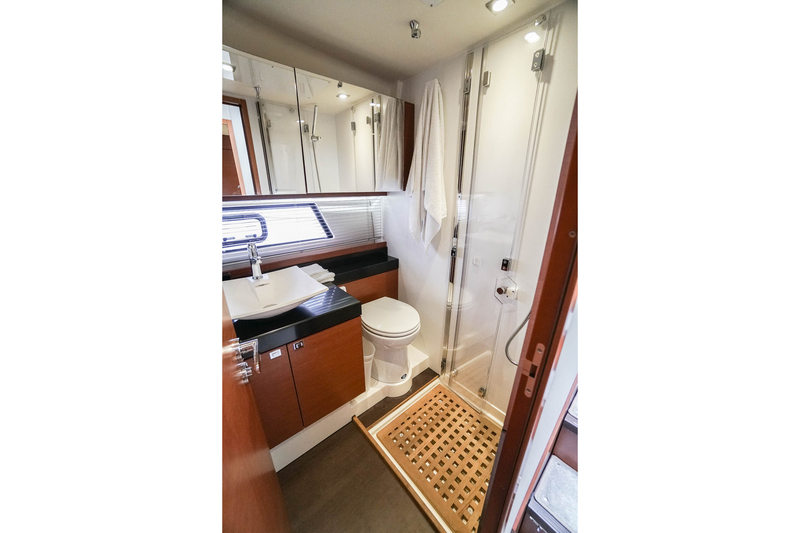 The master is full beam and midship with large hull windows, a vanity/desk area, plenty of storage, and tall headroom. 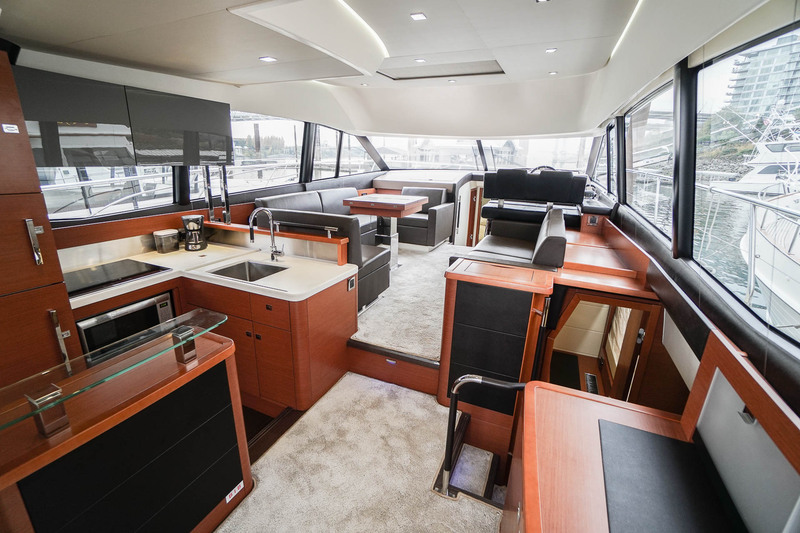 The Prestige 500 is an exceptionally smooth and quiet running yacht. 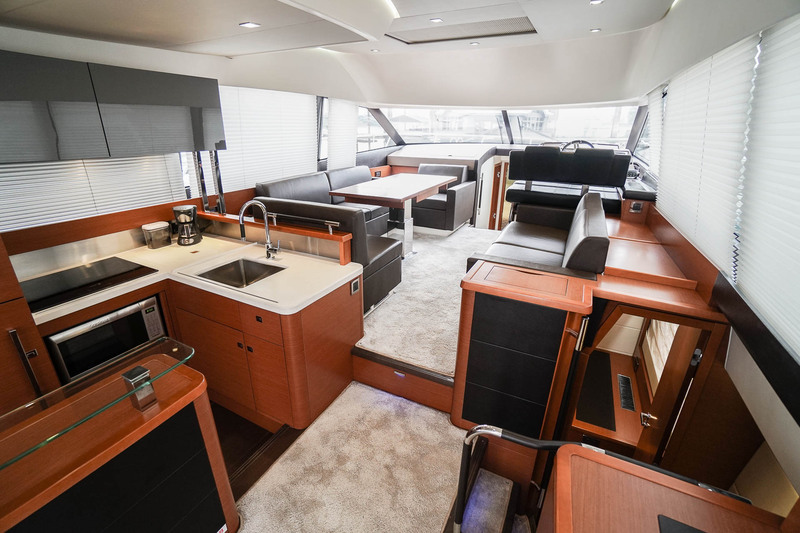 With twin Volvo IPS 600 drives she has a top speed close to 30 knots and can easily cruise in the mid-to-high 20s all day. 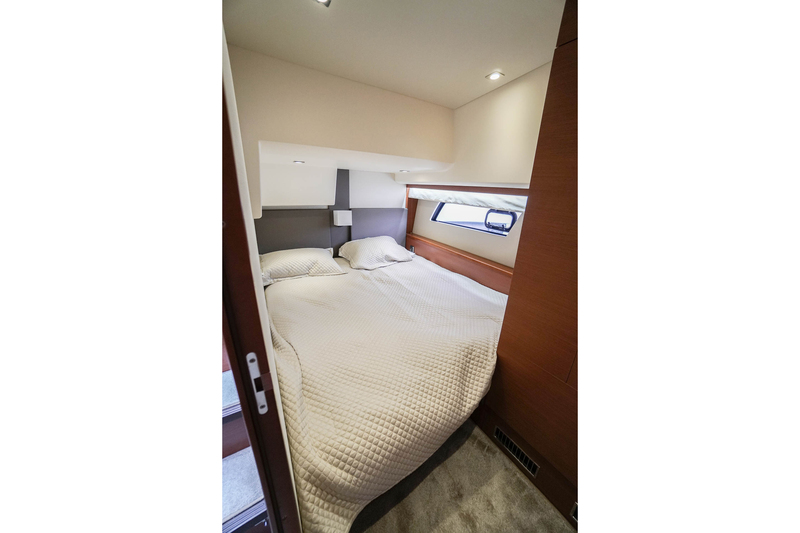 Even at a fast cruise (25 knots for example) conversations can be had at normal volume levels inside the boat. The IPS pods of course feature joystick docking, making this task extremely easy. 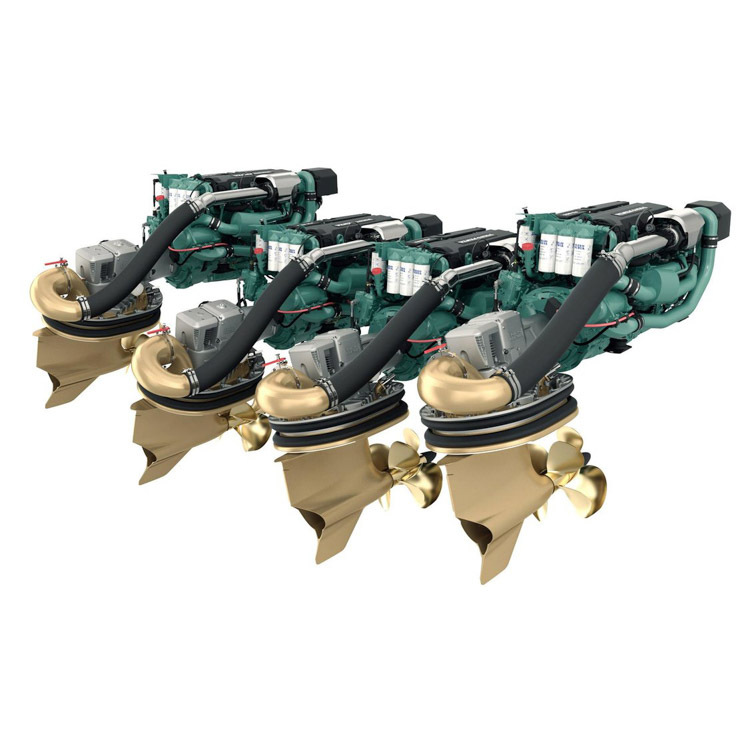 The boat has a bow thruster to make it even easier, which though not necessary with IPS, can come in handy in high winds or fast current situations. 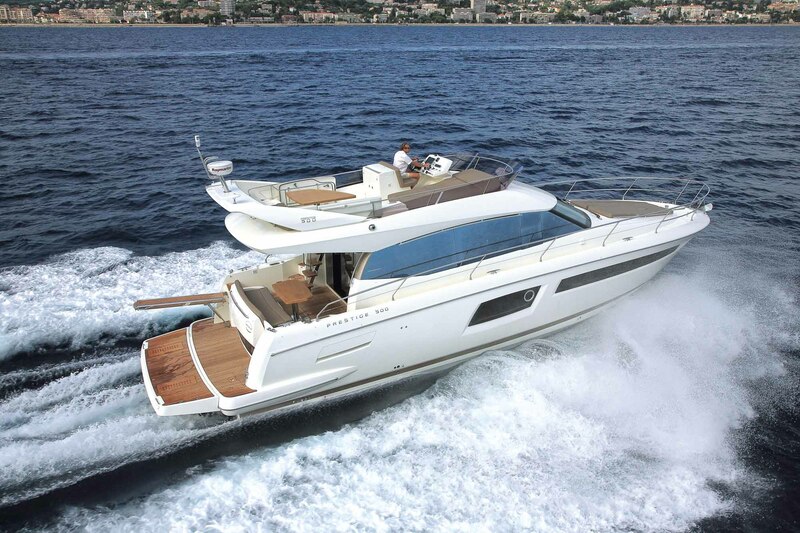 Prestige builds these boats at their state of the art factory in France. This is perhaps one of the most advanced boat building factories in the world today, with advanced engineering and CNC machines that ensure precision and quality that’s at another level compared to boats of not only the past, but many still built today. 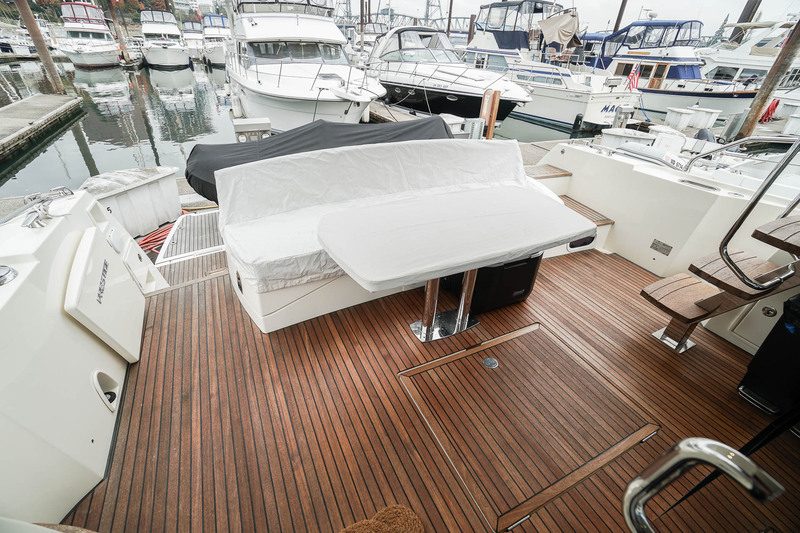 Their attention to detail and style is evident throughout their boats, this one being no different. 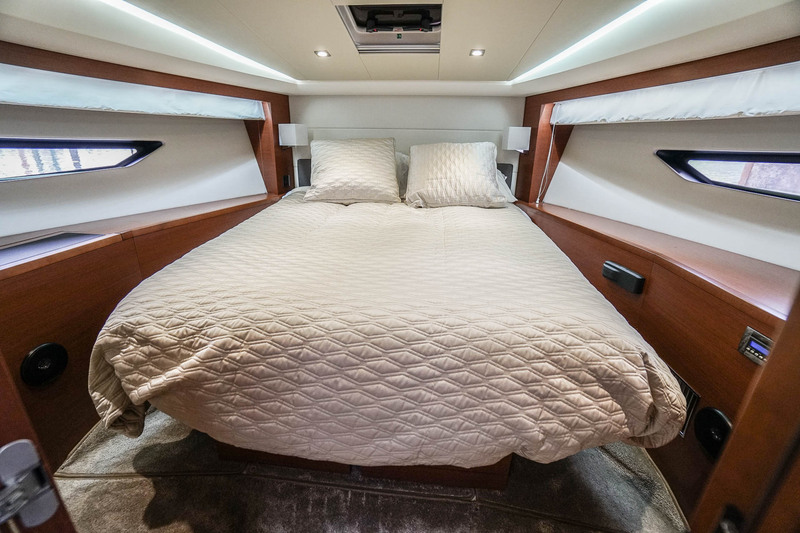 If you’re in the market for a 50-ish foot yacht you’d be doing yourself a disservice to not look closely at this Prestige 500. Please contact us for a showing.